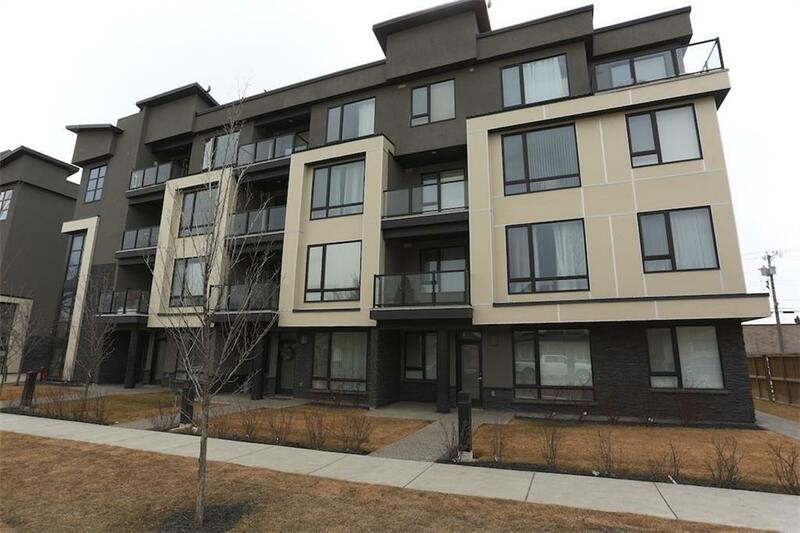 A bright and spacious south facing unit! 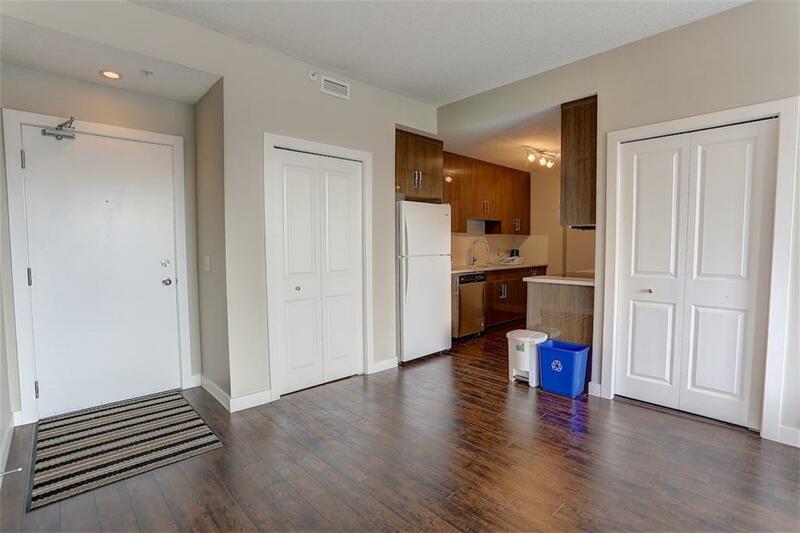 Over 900 square feet of living space, 2 bedrooms, and 2 bathrooms. This TOP floor open concept design includes a gourmet kitchen with pantry, dining area, and living room. 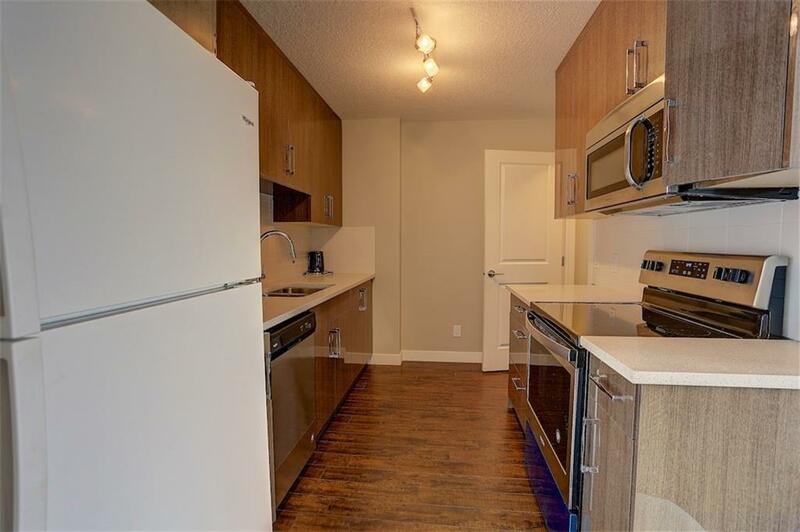 The upscale kitchen includes quartz counter tops, soft close cabinets, and stainless steel appliances. Entertain friends and family in the inviting living and dining room or head out to the spacious balcony for a barbecue. The master suite includes a walk in closet and a four piece en-suite bath. Enjoy year round comfort with the in-floor radiant heating. Included is one titled parking stall with a storage locker. Condo fees include heat and water! 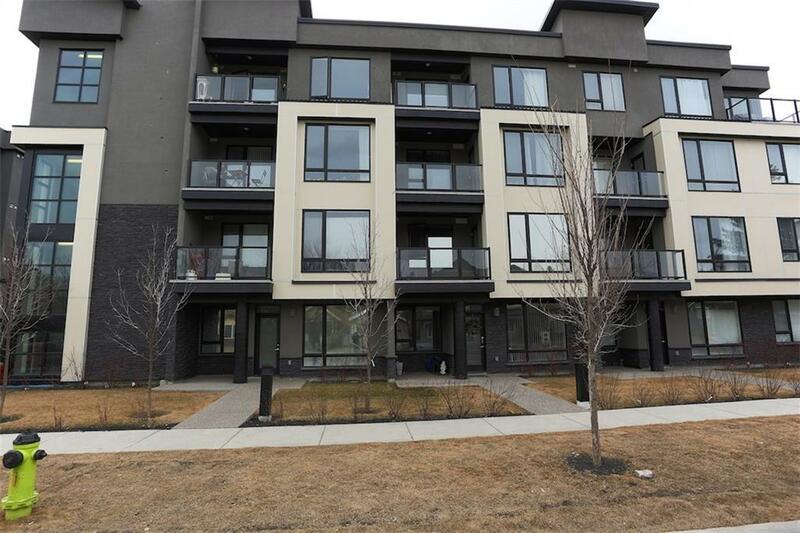 This stunning condo that is conveniently located within walking distance to all amenities, Post Secondary institutions, and the Foothills Hospital. .